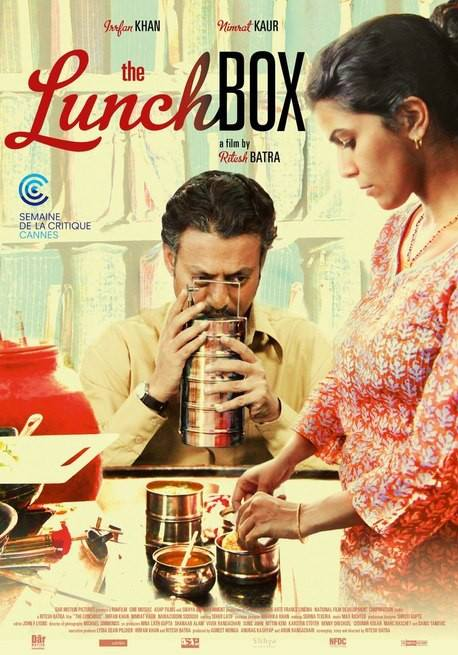 Ritesh Batra's The Lunchbox is a movie about a love that blossoms by accident - it all begins when the Mumbai Dubbawalas mistakenly deliver the Lunch Box prepared by Ila (played by Nimrat Kaur) to Mr. Fernandez (played by Irfan Khan). But, this movie is not just about the love between the placid widower and the forlorn housewife; it is also a movie about relationships that our day to day life gifts us with - those beautiful bonds that cannot be named but add substance to our life - the neighborhood 'aunty", the office colleague, the cigarette buddy or the morning train companion, we all have these people around us, enriching our lives in ways we might not even notice. Mr. Fenandez' lunch box and the movie are both full of delectable desi flavors -while the "next-door Aunty" flavor is the best of them all, it is the "Mumbai daily life" tarka that completes the recipe. The brilliance of Irfan Khan and Nawazuddin Siddiqui put together is the best thing that can happen to a debutant director. Playing the character of a reticent man meant that the feelings of the character had to be depicted more though expressions than dialogues - no one except Irfan could have done justice to this character - each emotion and each thought had been expressed so well that it turned the movie into a masterpiece. Nawaz and Nimrat too have delivered a phenomenal performance. Nimrat beautifully depicts the agony and loneliness of all those housewives who spend their lives playing the role of a dutiful wife and mother with near perfection while their souls crave for that little bit of time and attention from their husbands. The screenplay is all about attention to detail; this makes a few scenes in the movie too slow for an impatient viewer - especially the first lunch time scene where Infan's character spends a lot of time looking at and smelling the food before taking the first bite.The cinematography that ensures that the audience experience hunger pangs every time the lunch box is opened is worthy of a mention too. This Lunch Box truly deserves a place is Bollywood's treasure box. Nice review Niti.. U r going places with good review.. Keep it up.. Was looking for Phata Poster Nikala Hero review - how is it?? ?